From the land of Moriarty (no, not that Sherlock Holmes character, we’re talking New Mexico) comes Burn, the follow-up to So Say We All‘s 2012 The Watchmaker’s Children. The self-proclaimed nerdcore band is much less nerdish on Burn through maturing and mellowing their sound since their first release. The new album covers topics that are deep, emotional and often depressing, while still giving a hint of rejuvenation. Burn begins with the somber “Resolute” and it’s search for renewal, followed by “At The End”, a discourse on the end times and how viewing the negatives of the world should be refocused into a search for love. A deep guitar riff sets the tone for “Down Below”, dealing with rising above strife. “1999”, a stand-out single from So Say We All, finds a reprisal on Burn. The song offers a truth that many miss; a song alone cannot truly express the undying love that’s kept in your heart. Perhaps the most interesting song found on Burn is “Goodman”. A deep synth tone opens the track and vocalist Jon Anderson builds the volume from a breath to shout and back as he wishes well to a friend and hopes that he can also gain the same degree of confidence. Many people have suffered through being involved in a controlling relationship. Anderson ably recounts the ordeal of these situations on “Games” which bridges into the retro new wave styling of “Eleven”. The title track may be the least musically and vocally inspired song on Burn, but it contains the honesty of being beaten down but failing to surrender. The outstanding “Empty Suit Man” meets an empty life that holds a story in his heart that can only be told in song during “Empty Suit Man”. “Golgotha” and the disheartening “Meanwhiles and Neverweres” with it’s ode to societies dissolute masses, finish Burn. Listeners are bound to appreciate the So Say We All’s honest approach to difficult topics and their able musicianship, but Burn only smolders. 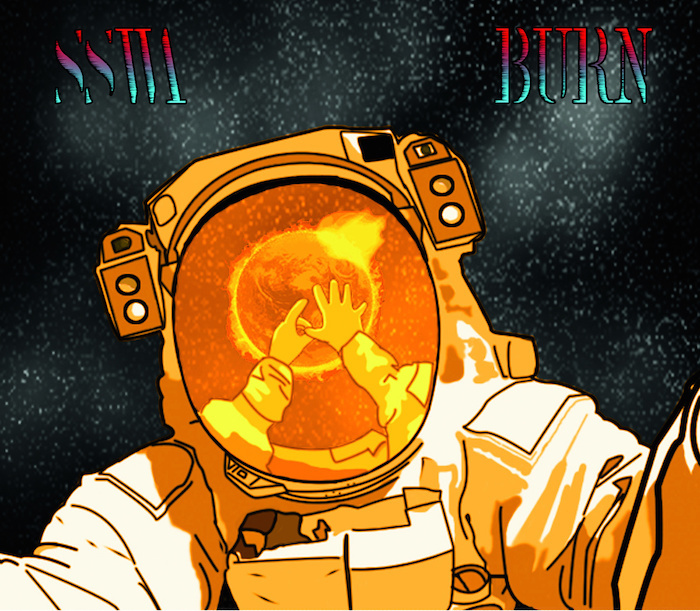 Pick up the new So Say We All release Burn at the So Say We All Bandcamp page.